Students from Brooks County Middle School and Brooks County High School attend the Veterans Day program hosted by our local VFW. Winners of the Voice of Democracy Contest, Patriots Pen Contest and the Smart/Maher VFW Teacher Award were announced. 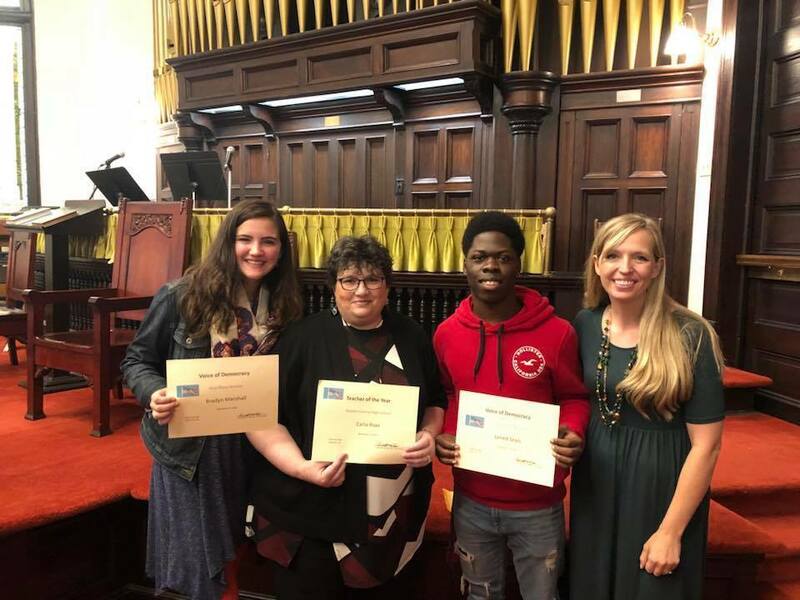 Congratulations to Bradyn Marshall (1st Place), Jarred Seals (2nd Place), and Mrs. Carla Lambert Rizer(BCHS World History Teacher and Social Studies Department Head). Pictured with them is Instructional Coach Ashlee Gruno.